To make a change from all these posts full of history facts, I thought I would share some photos of Kidwelly Castle I took today. My husband is from Kidwelly and we went to his mother's grave with flowers for Mothers Day yesterday. We called in at the Gatehouse Cafe for drinks and cake on the way back, and went for a little walk by the castle. Unfortunately it is shut this week for maintenance, but I usually see it from the inside, so it was interesting to go down by the River Gwendraeth and see it from outside for a change. When you look up at it you can see why it was so daunting for prospective attackers, and what a great position it commands over the river. 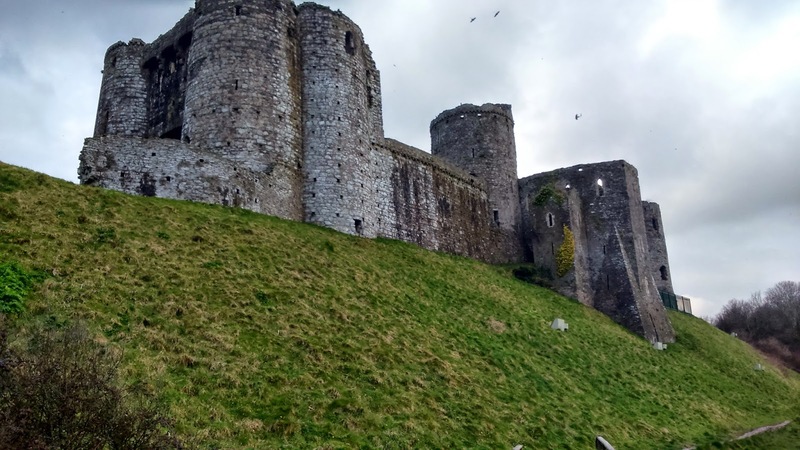 The river was wide and deep enough to allow a range of ships to bring supplies and trade right up to the castle and so to the town of Kidwelly. The town used to be a bustling, busy place but is now very quiet. Just a stop on the way between Llanelli and Carmarthen. 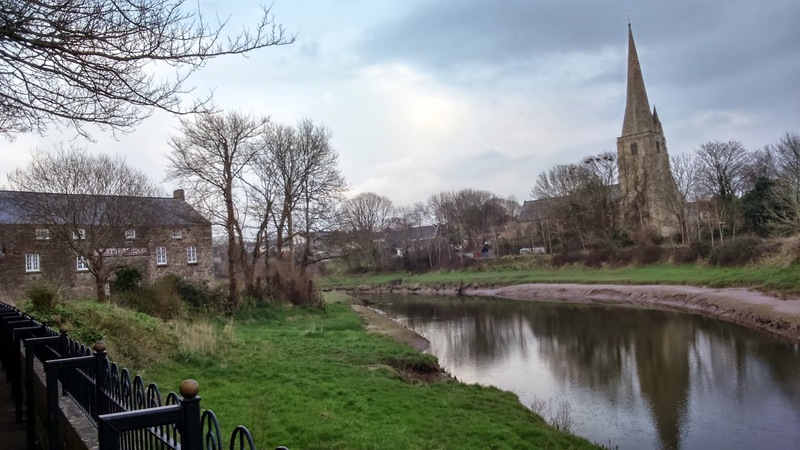 Below the castle was a watermill, now an antiques shop, and across the river is St Mary's Church. Like most places there is a legend of a tunnel between the church and the castle, but it would have to be a very deep tunnel to get under the river. I have my doubts. We walked up some steps cut into the hill, from the river up to the castle gate. I was quite surprised, looking back, that I made it! You can just see the river far below. I can recommend a visit if you are in Carmarthenshire. 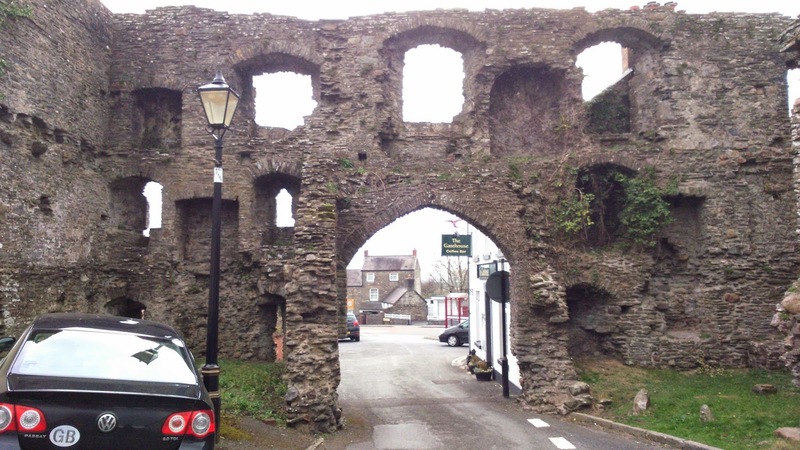 Kidwelly Castle is the best preserved castle of its age in the UK. 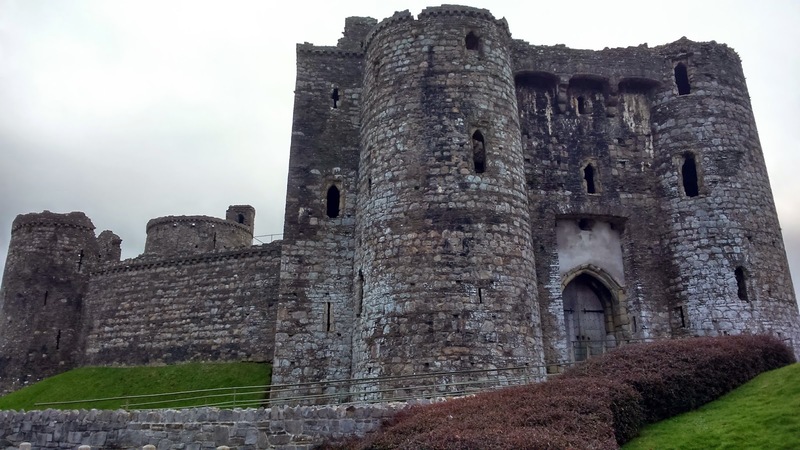 You can go up the towers and down the dungeons and walk along the battlements. You can even stand above the gate and look down through the slot where the portcullis was lowered and through the holes where they poured boiling oil on attackers! 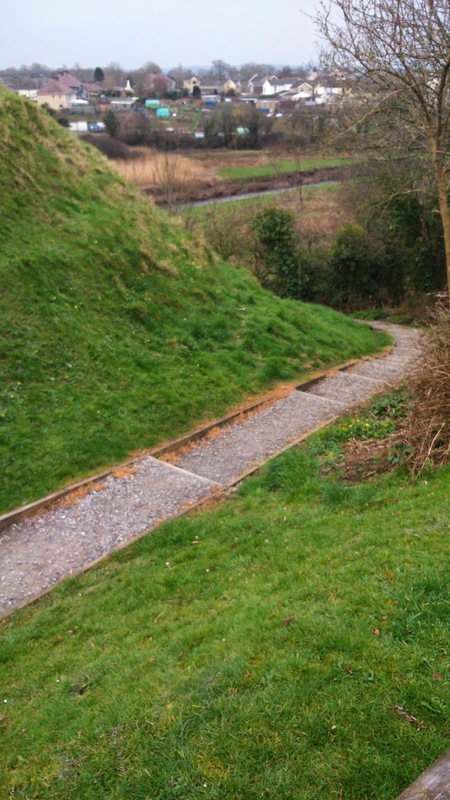 Outside the castle they have set up a stone in memory of Gwenllian. She is not the Gwenllian I wrote about a year ago but you may like to read about it here. This Gwenllian lived in Kidwelly Castle and is famous for leading the defense of the castle when her husband was away. 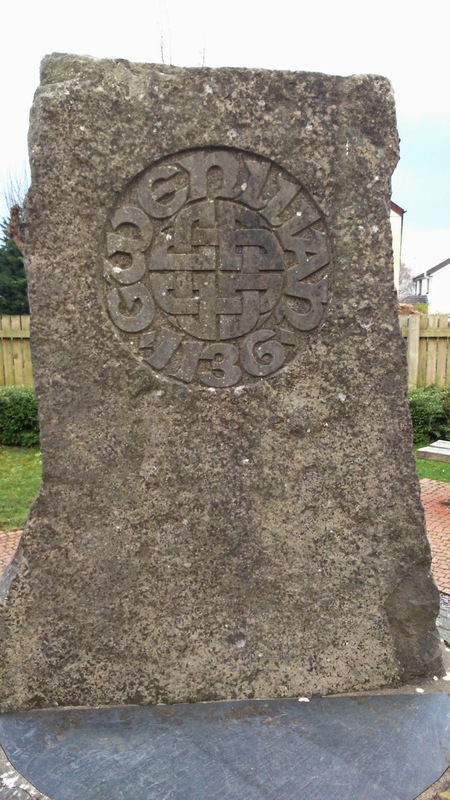 The stone bears her name and the date 1136. Maybe I'll write about her too one day. It was a grey spring day, and it started raining on the way home, but I found it quite atmospheric. Maybe we'll go back in the summer and I'll share some photos of the inside in the sunshine.